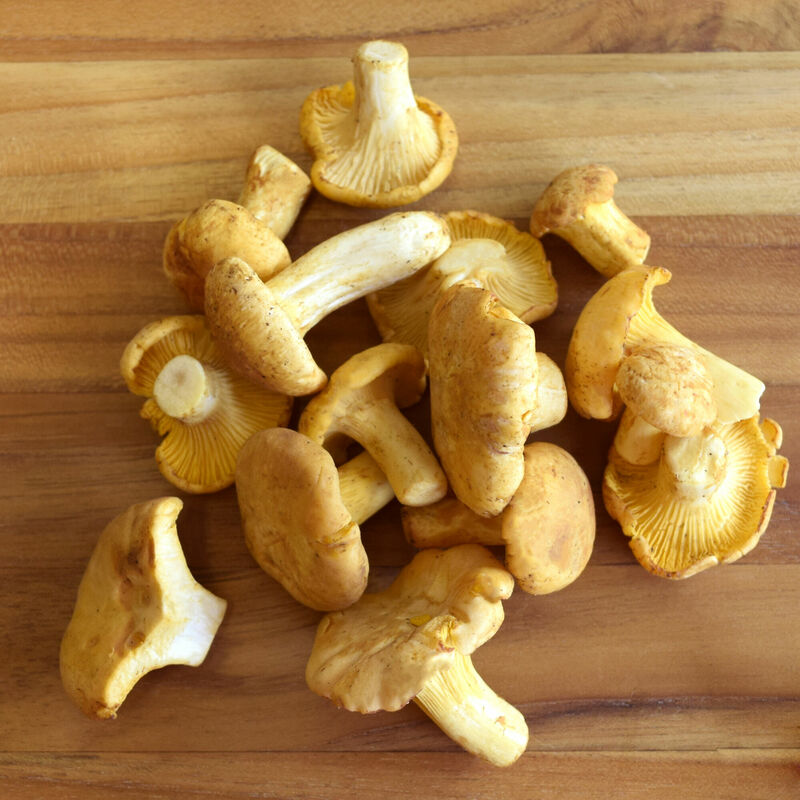 Fresh Chanterelle mushrooms, wild foraged seasonally in North America, across Europe, and in North Africa. One of the most prized mushrooms in the world. Their fruity smell and peppery, earthy flavor is best enjoyed simply with butter, cream, salt, and pepper. They naturally pair with chicken, pork, veal, and egg dishes, and are quite versatile.